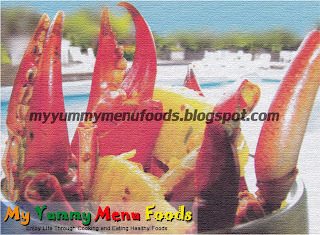 A creamy crab with coconut milk gravy has an extra special taste because of fresh tamarind and lemongrass with in. 1. Heat the coconut with water. 2. Add tamarind, small chili and lemon grass. 4. Add crab, salt to taste and lemon grass.